How Rare is Your Sovereign? 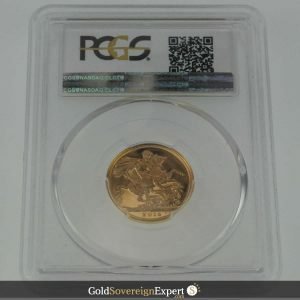 1989 proof gold Sovereign (Tudor rose) in its original presentation case with COA. Price includes insured shipping. 2% discount on purchases using BACS. 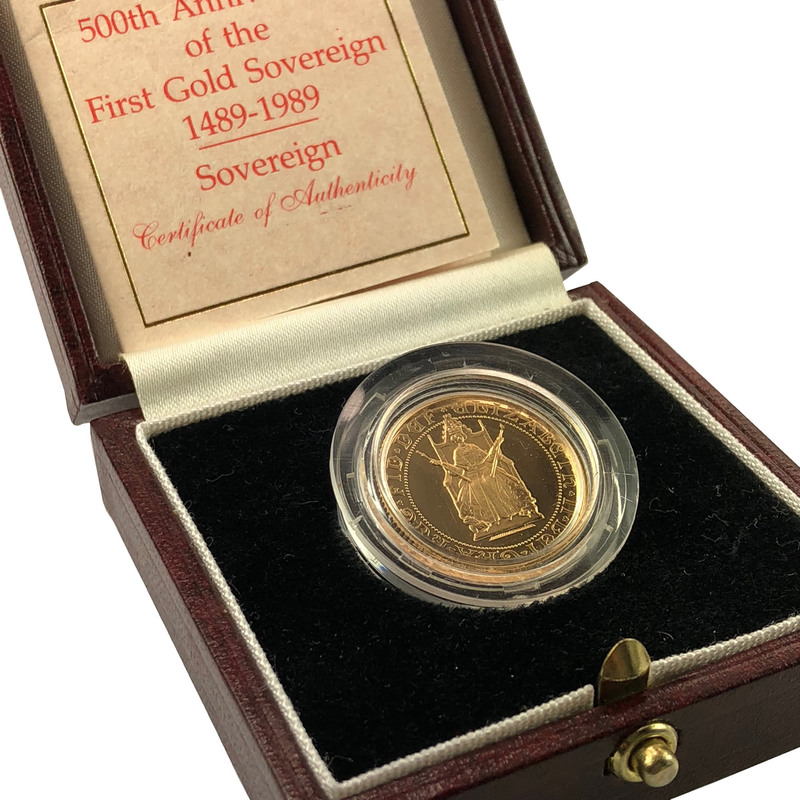 A proof 1989 gold Sovereign, enclosed in perspex capsule and housed in its original presentation box with certificate of authenticity. 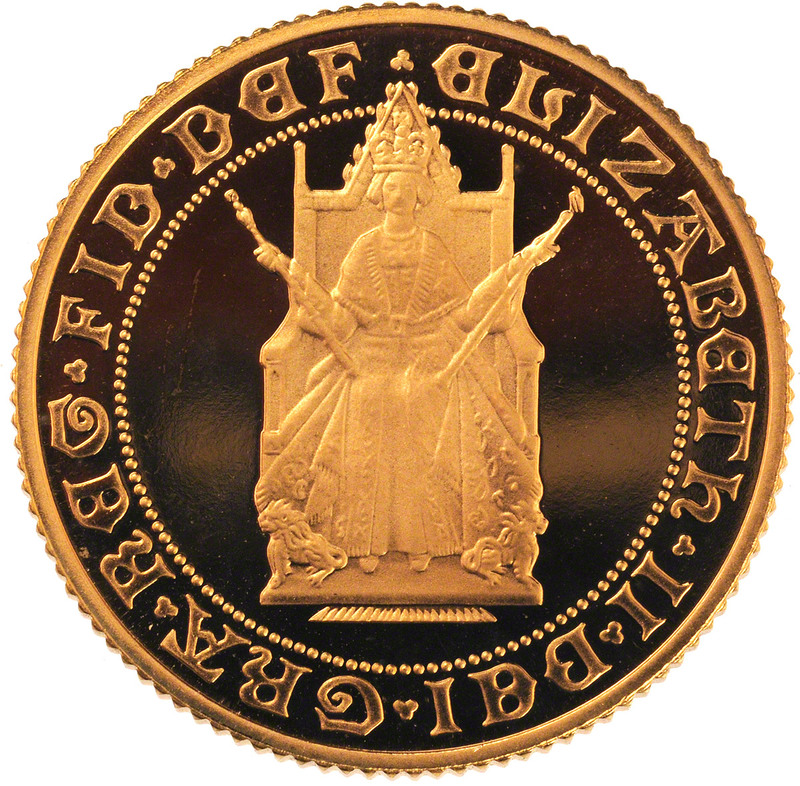 Both the obverse and reverse faces of the coin are by Bernard Sidnall. 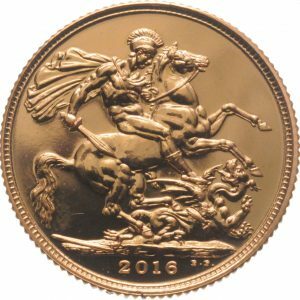 To commemorate the 500th anniversary of the first gold sovereign, the Royal Mint introduced a special one-off design that echoed the original design. 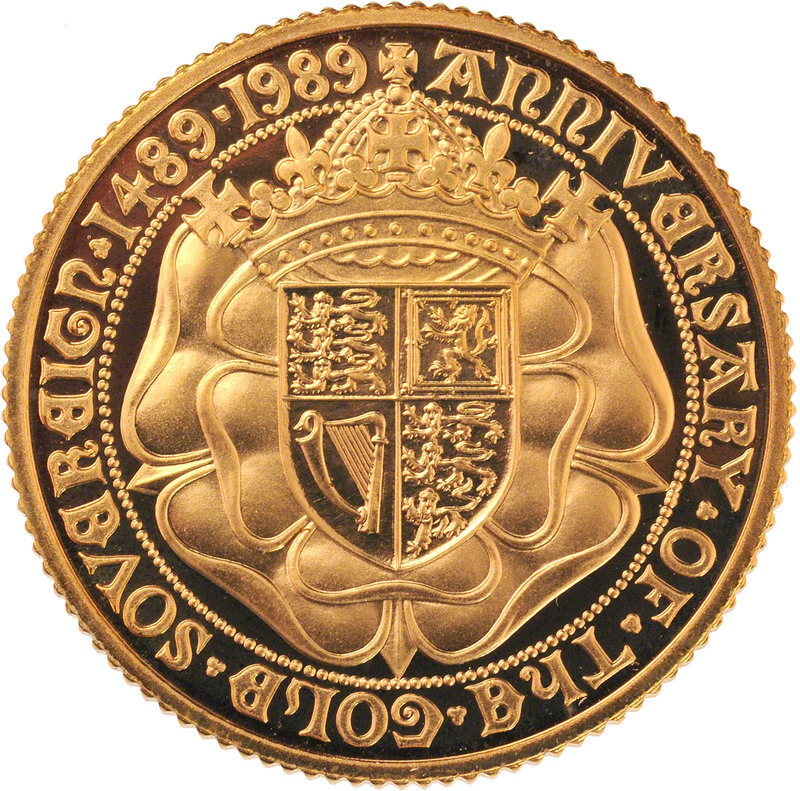 The 1989 gold Proof Sovereign features two new designs by Bernard Sindall, both of which are modern adaptations of the original sovereign design of 1489. 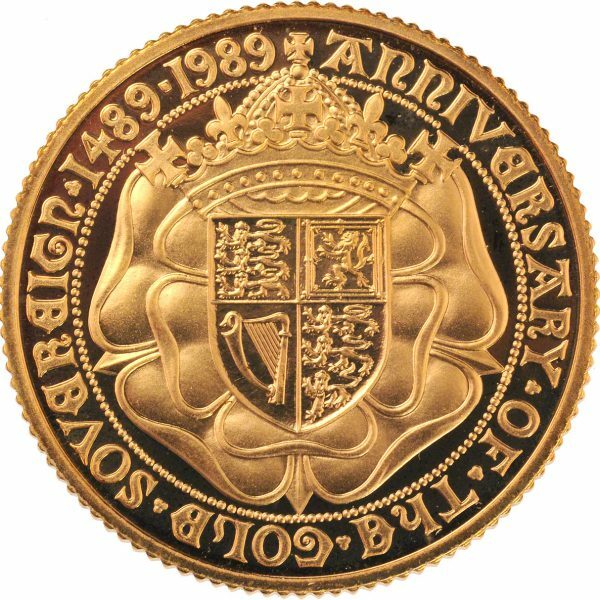 The reverse is a Shield of the Royal Arms ensigned by an open Royal Crown, the whole superimposed upon a double rose and the circumscription ANNIVERSARY OF THE GOLD SOVEREIGN 1489-1989. 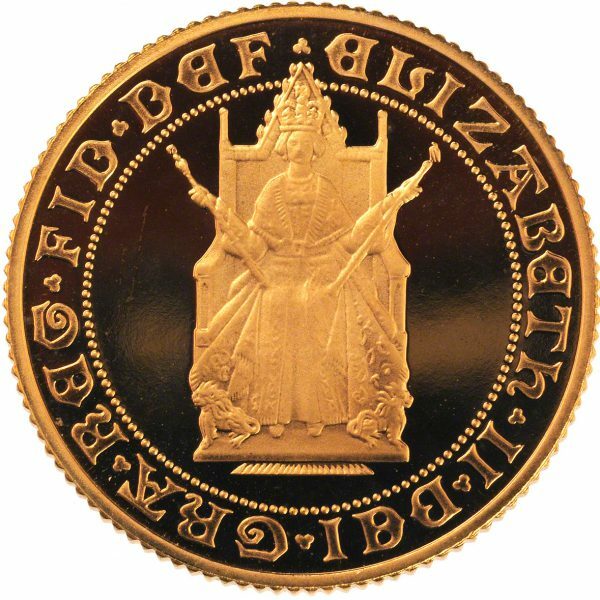 The obverse shows H M Queen Elizabeth II seated as at her coronation, within the circumscription ELIZABETH II DEI GRA REG FID DEF, which may be translated as Elizabeth II – by the grace of God, Queen, defender of the faith. Fully insured shipping is included in the price. A 2% discount will be applied to this purchase if it’s paid for via bank transfer. The price you see includes insured and tracked shipping. 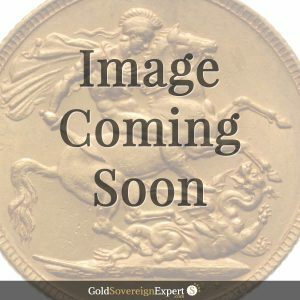 Being legal tender, all gold Sovereigns benefit from being free of Capital Gains Tax. They are also exempt from VAT. Gold-Traders (the company behind Gold Soverign Expert) is rated 4.8 / 5 based on 509 reviews. All images on this website are copyright of Gold-Traders (UK) Ltd. All rights reserved. Please ensure you have read and understand our copyright policy before using any of our images for your own purpose.